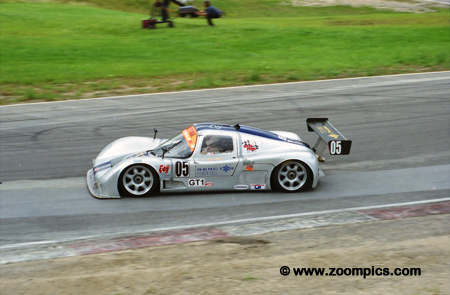 By 2000, the Canada GT Challenge Cup was in its fourth season. Sanctioned by ASN Canada FIA, it was an eleven-round series of one-hour races. 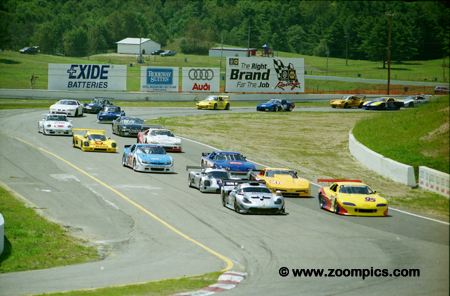 Drivers competed at Mosport International Raceway (8-events) and Shannonville Motorsports Park (3-events). A twelfth race scheduled for Mont-Tremblant was cancelled. A wide range of vehicles were eligible for the series – FIA GT, Professional Sports Car GTS & GT, SCCA Improved Touring, GT1, GT2 & Trans Am and ASA Stock Car. The list of cars that were ineligible was much shorter – Sports Racers, Ground Effects Cars and Showroom Stock. If a GT2 driver broke out of the time bracket, they would be moved to GT1. One or more drivers could compete in a car, however, the second driver had to complete either twenty-minutes or one-third of the total race laps to earn points. The races also included a mandatory one-minute pit stop during green flag conditions. To attract competitors, there was a total event prize fund of over $50,000 and a year-end point’s bonus fund of $45,000 – split between the two classes. The grid approaches corner-ten for the start of round-seven which was the Canadian Touring Trophy weekend organized by the British Automobile Racing Club. The event attracted twenty-nine entrants which one of the better-subscribed events. On the pole is Klaus Bytzek in a Porsche 911 GT1 EVO and next to him is the Camaro of Charles Webster. These two would finish in this order. Another year and another GT1 title for Klaus Bytzek driver of the No. 00 Porsche 911 GT1 EVO. He won six rounds of the eleven events. While he was challenged at a couple of events and the BMS Team suffered through a couple of DNFs it was business as usual. The exception of the sixth race in the series - he failed to start this event when he was confused about the starting time of the race and got stuck in traffic. Blaise Csida and his Chevrolet Corvette won the GT2 class in the first four races. He went on to win GT2 category three more times – securing the title by round nine. Round ten his car was driven by Ben Swain, who also took the class victory. With the GT2 title in-hand, Csida decided to test the full potential of the car at the last race and led GT1 before finishing second. 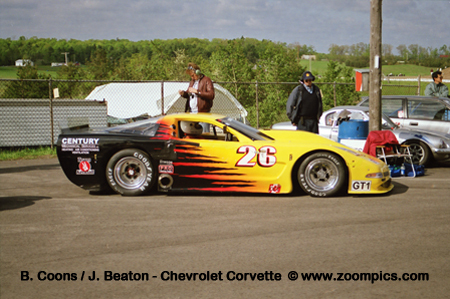 The always quick Jim Holtom entered round two with a new Chevrolet Corvette prepared for the Trans Am series. Unfortunately, new car teething problems prevented him from being a threat. 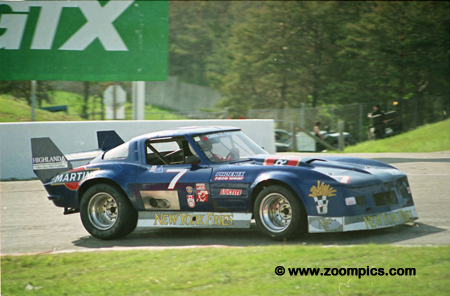 After the Trans Am event at Mosport he returned to Shannonville for round six and took the win. He would take a second victory at the penultimate round - beating Bytzek by over one-minute. Torsten Krueger started off the strong with some finishes. In the first three races, he had three top-five finishes. After these events, he suffered through a series of DNFs that culminated with an accident at round seven. 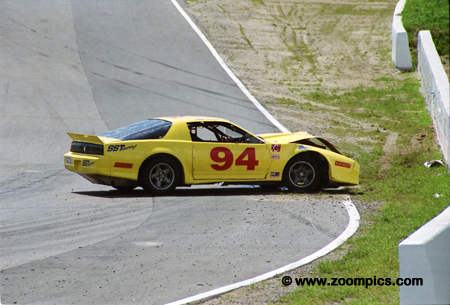 At Mosport, the Pontiac Firebird driver hit the wall hard between turns nine and ten. He did not return for the remainder of the season. 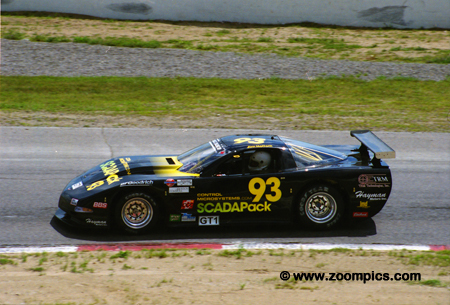 In 1998, John Brenner entered at Pontiac Firebird in GT2 and missed winning the title by just two-points. For 1999, he switched to a tube-frame Chevrolet Monte Carlo and entered the GT2 class. But in the second race, he broke out and moved up to GT1. In 2000, he started the year in GT1 and won round three at Mosport. He would finish a distant second the Klaus Bytzek in the final GT1 standings. Local Trans Am competitor Charles Webster made six appearances in the series. At the end of each race the Chevrolet Camaro driver could be found at the top or bottom of the results sheet. He had one win, two seconds, one third and DNFed twice. These results were good enough for him to finish eighth in the final GT1 standings. 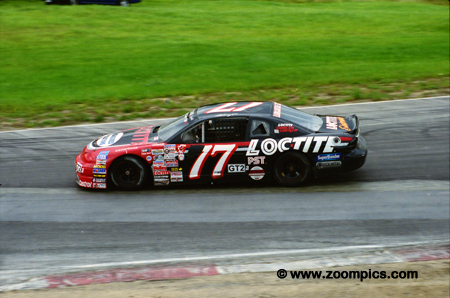 CASCAR veteran Peter Vanderwyst entered three CGTCC races in 2000. At the season opener, he was the fastest GT2 qualifier. Believing he would break-out in the race he voluntarily moved up to GT1. He finished fifth in class. 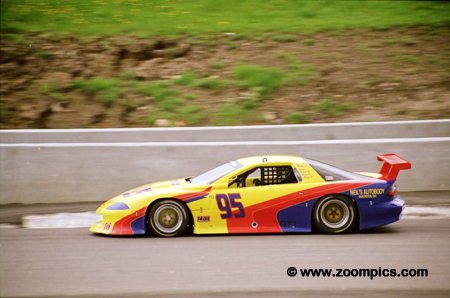 It is interesting to note that in the Canada Cup events Vanderwyst raced a Chevrolet Monte Carlo but campaigned a Pontiac Grand Prix at the in CASCAR races. 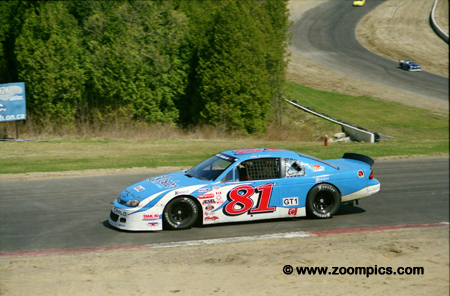 Phil Strudwick Motorsports had a fleet of race cars available for rent. One of these was the No. 92 - an ex-Trans Am Chevrolet Corvette. The car was put to good use by Greg Clifton. 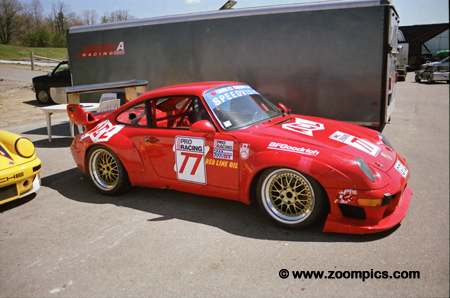 Clifton had a number of podium finishes which included two GT2 class wins. In the final standings, he finished second to GT2 Champion Blaise Csida. Noble cars were the creation of automotive designer and engineer Lee Noble. The first in the series was the Ultima MK 1 built in 1983. 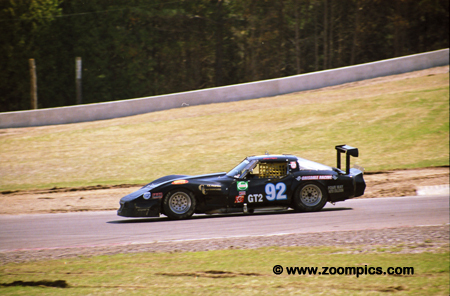 TMI entered a Noble Ultima MK 4 for Brent Gates replacing the former Archer Brothers Dodge Daytona. It was a “character building” year for the team. Appearing mid-season they had mixed results but finished the year with a win. 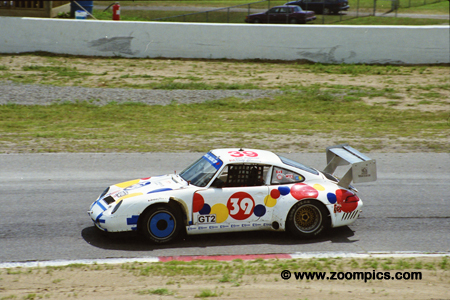 Veteran Rudy Bartling raced this Porsche 911 in the GT2 category. He competed solo until the fifth race of the season when he was joined by Rick Franczak. 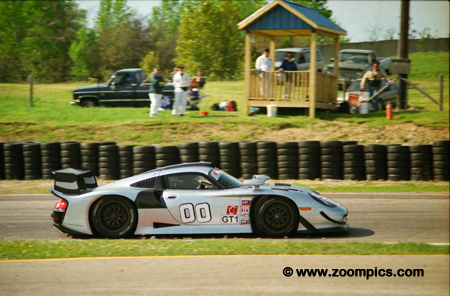 In their first race together at Shannonville, the duo won the GT2 class. That was their highlight of the season – they did not enjoy similar results in the remaining rounds. Bartling finished fourth in the final GT2 standings while Franczak was fifth. The most successful Quebec driver in the series was Fernand Leblanc who drove the No. 77 Porsche 911 RSR in the GT2 class. He competed in eight of the eleven events. Leblanc’s best results were a second, two thirds and two fourths which was good enough for him to finish second in the final GT2 standings. Ludwig Heimrath, the veteran of many race series, had done very well in the Canada GT Challenge Cup. In the inaugural season he won the GT2 title, he was third the following year and the runner-up in 1999. Unfortunately, 2000 was not to be his year. He started the season with two DNFs and added four more to his total. High points for Heimrath included a third and two fourths.